An investigation into the Dell Mini9 and I guess all things related to using NetBooks or Ultra Mobile Devices (UMDs). Dells first venture into this market was announced back in September 2008 around a year after the Asus Eec PC was released. 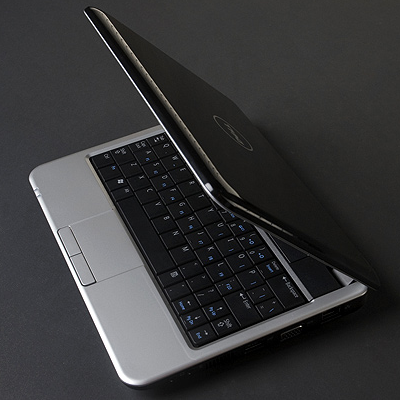 The Dell Mini 9 was it’s first entry into the Netbook category, essentially an undersized notebook powered by Intels Atom processor. Available in a number of configurations, all are powered by the Intel Atom Processor N270 (1.60GHz, 533MHz, 512K cache) with an 8.9? WSVGA (WLED) Truelife Display controlled from an Integrated Intel Graphic Media Accelerator 500. There is a single memory slot which can handle up to 1024Mb SDRAM,although it doesn’t appear to be too much of an issue to increase this to 2Gb. Various capacity solid-state hard drives are available and you have a choice of Ubuntu or Windows XP (Home Edition) as the OS. © Copyright 2009-2018, Mick Kellman.